Thomas Jefferson, the classical liberal thinker who wrote the Declaration of Independence and the third president of the United States of America, had a problem with the Bible. He liked many of the things that Jesus taught in the New Testament, but he just couldn’t believe in miracles. He couldn’t believe that a man, by a humble command, could calm a stormy sea or change water into wine. He couldn’t believe that a man could come back to life after he died. And he couldn’t stand the fact that the Bible’s excellent moral teachings were interspersed among tales of such preposterous nonsense. Jefferson concluded that all the miracles recorded in the New Testament were added after the fact. So Jefferson came up a simple solution: he took a razor blade to his Bible and cut out the parts he didn’t like. He wrote to John Adams that what Jesus actually said (as opposed and what was added there later) was “as easily distinguishable as diamonds in a dunghill,” and constitute “the most sublime and benevolent code of morals which has ever been offered to man.” That is, so long as you leave out anything that Jesus said about being the embodied son of the Living God, or about His power to heal the sick and raise the dead, or about His resurrection and His conversations with His followers after His death. The truth is, we will all find passages of scripture that challenge our notions about how the world works, who God is, and how we should live our lives. C.S. Lewis insight-fully noted, “My idea of God is not a divine idea. It has to be shattered time after time. He shatters it Himself. He is the great iconoclast. Could we not say that this shattering is one of the marks of his presence?” I have had my own experiences with the divine, and almost every time, He has revealed to me ways in which I was mistaken about Him. Any effort to “pin Him down” and to catalogue him in a taxonomy of our own creation is fruitless. The question is, what do we do when we encounter passages of God’s word that challenge our notions about God? What do we do when His messengers, be they prophets of the ancient world, or modern oracles of God, invite us to reconsider what we think is the right thing to do? Besides responding to the prophetic call to repentance, there are only two options. First, we can do what Jefferson did—we can snip away the parts we don’t like. Few of us would literally take a razor blade to our scriptures, but I suspect most of us do this metaphorically on a regular basis. In our day of rampant political correctness, it is very easy to simply brush under the rug the voice of God when He asks us to be a peculiar people, and to listen to His voice only when He asks us to do things that we are already wanting to do. Anytime we ignore or overlook parts of the scriptures because they make us uncomfortable, we are doing the exact same thing that Jefferson did: we are mentally excising the parts of the scriptural narrative that challenge our beliefs about God and His expectations of us. The second option is to interpret the offending passage in a way that neuters the threat to our worldview. This option is more appealing to most of us, because then at least we have an answer to the questions raised by the scriptures against us. We can conveniently explain away the divine challenge to our beliefs and lifestyles by convincing ourselves that the passages we are reading can’t really mean what they appear to mean. And by so doing, we can recreate and remold the scriptures after the pattern of our own philosophies and ideas. We can effectively pretend that the scriptures don’t actually ask us to change—just those liberal Democrats, or those warmongering Republicans, or those libertine libertarians, or those Evangelical bigots, or whoever our current ideological enemy is. And we can soften the edge of God’s commands by reassuring ourselves that He’s just talking to those who are doing worse than we are. In short, there are passages in the scriptures that stare us in the face until we feel so uncomfortable with ourselves that we either have to pretend they aren’t there or explain them away. Both these responses mentally sterilize the scriptures of their central purpose in our lives: to invite us to repent and come unto Christ. And the truth is, from a worldly standpoint, turning ourselves over to Christ is a very risky proposition. As C.S. 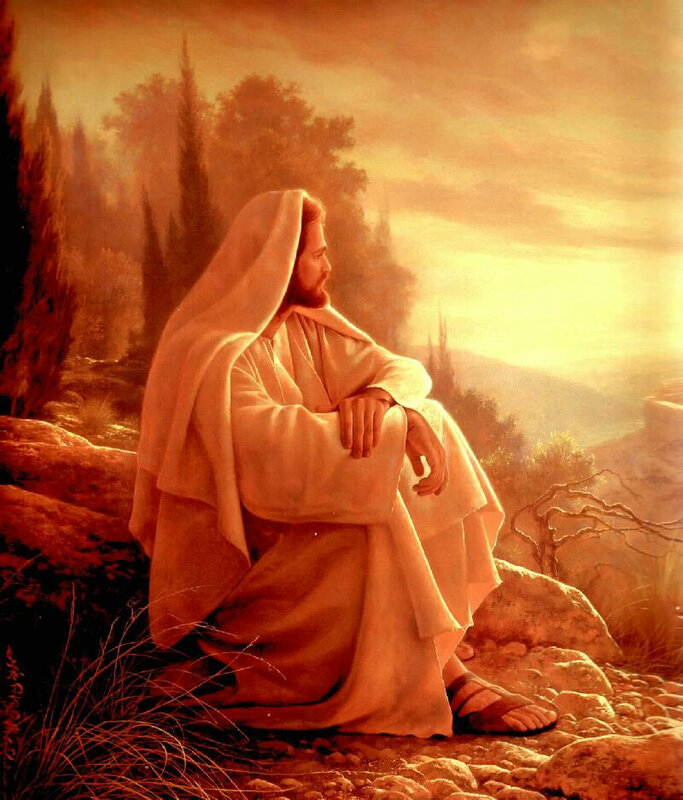 Lewis said, “‎We are not necessarily doubting that God will do the best for us; we are wondering how painful the best will turn out to be.” We often depict our Lord and Savior in the warmest, friendliest terms possible, and sometimes forget that the scriptures also depict Him as the Great and Terrible. He is our deliverer, our Savior, and our greatest benefactor, but He is also our King. Consider for a moment the fearsome awe with which you might approach a powerful king of a powerful nation, and remember that the young Jesus was heralded as the future king of the then kingdom of Israel, and is now revered as the King of Kings and the Lord of Lords. And as the great Lawgiver, He makes demands of us, demands we might not always expect and which might make us uncomfortable. He has asked some of His followers to give up their families, their homes, and often even their very lives. But although the sight of the water made [Jill] feel ten times thirstier than before, she didn’t rush forward and drink. She stood as still as if she had been turned into stone, with her mouth wide open. And she had a very good reason; just on this side of the stream lay [a] lion. … She knew at once it had seen her, for its eyes looked straight into hers for a moment and then turned away—as if it knew her quite well and didn’t think much of her. “If I run away, it’ll be after me in a moment,” thought Jill. “And if I go on, I shall run straight into its mouth.” Anyway, she couldn’t have moved if she had tried, and she couldn’t take her eyes off it. How long this lasted, she could not be sure; it seemed like hours. And the thirst became so bad that she almost felt she would not mind being eaten by the lion if only she could be sure of getting a mouthful of water first. … For a second she stared here and there, wondering who had spoken. Then the voice said again, “If you are thirsty, come and drink,” and of course she … realized that it was the lion speaking. Anyway, she had seen its lips move this time, and the voice was not like a man’s. It was deeper, wilder, and stronger; a sort of heavy, golden voice. It did not make her any less frightened than she had been before, but it made her frightened in rather a different way. “Are you not thirsty?” said the Lion. “I’m dying of thirst,” said Jill. “Then drink,” said the Lion. “May I – could I – would you mind going away while I do?” said Jill. The delicious rippling noise of the stream was driving her nearly frantic. “Will you promise not to – do anything to me, if I do come?” said Jill. Jill was so thirsty now that, without noticing it, she had come a step nearer. “Do you eat girls?” she said. “I have swallowed up girls and boys, women and men, kings and emperors, cities and realms,” said the Lion. It didn’t say this as if it were boasting, nor as if it were sorry, nor as if it were angry. It just said it. There is no other stream. Such haunting words for a young girl, alone and thirsty in the woods, confronted with a being of such majesty and fearsome wonder that she dare not approach. 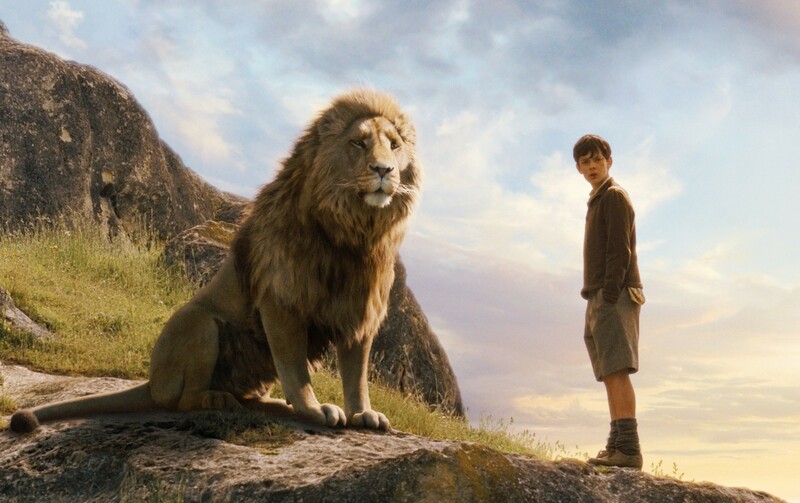 As is repeated several times throughout the Narnian canon, Aslan is not a tame lion. Although he is revered by Narnians as their deliverer from captivity and their greatest benefactor, he is not a tame beast whom they can control at their beck and call. He is their master, they are not his. He will not promise to not ask of them some of the greatest sacrifices they can possibly make. Like Aslan, Jesus Christ is not politically correct. A politically correct Christ would never make us feel uncomfortable about our lives and our actions. A politically correct Christ would never tell us that we are wrong, and that by being wrong we’ve wronged others and offended God. But that’s exactly what Christ does. He sends messengers to cry repentance when we neglect to live His commandments. He constantly asks us to do better, to think differently, and to humble ourselves before Him. And He does this to all of us equally—no group or faction escapes His piercing gaze. He is here to save us from sin, whether we are liberal or conservative, American or Chinese, old or young, rich or poor. His message doesn’t respect class divisions, national boundaries, or traditional ideological divides. He doesn’t play by the rules we’ve set up by which we categorize, catalogue, and label each others. The message of the Book of Mormon doesn’t fit into a neatly labeled box. And we’re faced with a choice: we can do what Jefferson did, and trim the edges of the Book of Mormon’s narrative until it does fit neatly into our worldview and is congenial to our lifestyle, or we can allow the Book of Mormon (and consequently Christ) to change the way we see the world and the way we live our lives. I know that I’ve been Thomas Jefferson plenty of times in my life, and probably will again many times. I have no excuse for it though, except that we’re all learning. We can all do better at it. Christ lives. He has the power to work miracles of untold wonder in our lives and in the world. And unlike Thomas Jefferson, I believe in the resurrection. I believe He has the power to raise people from the dead, and that He will raise all of us from the day someday and bring us before the Father, where He’ll be our advocate and our champion. I believe that He has the power to change our hearts and the hearts of those around us. It’s only by His mercy and grace that I am the person I am today. And I know that He is willing and wanting to comfort, assist, and deliver each and every one of us from the temptations, trials, and hardships we face. We have the reassurance that as we turn to Christ and enter and renew our convenant relationship with Him, He will change us through His atonement. We’ve just got to allow Him to change us, by being willing to relinquish the lives we are currently living for the better life He offers us. We’ve got to allow Him to shape our view of the world, rather than using Him and His words as a tool to advance our own agendas. This Christmas, let’s recommit ourselves to doing just that. This entry was posted in General by ldsphilosopher. Bookmark the permalink. I agree with the general point of your essay, which is that God’s identity shouldn’t conform to our notions, but we should seek to conform ourselves to God’s independent notions, even when they challenge our views. But…Mormons have a few other cards up their sleeves, which neither Jefferson, nor C.S. Lewis had. We believe in personal revelation, that prophetic pronouncements today are continued scripture, and we also believe in prophetic and scriptural fallibility. Cutting up the Bible is what Joseph Smith did in his translation of the Bible. Careful editing and excising is what the church does today with past prophetic statements in the Journal of Discourses. Post-editing of General Conference is what the church did with Elder Packer’s recent address. We also believe in a God that is the same today, yesterday and forever. We take this literally. We ourselves have either witnessed, or have heard many current witnesses about healings, miracles, visitations of angels, revelations, and prophesies. We even know people who have had near death experiences who have come back to life and told us details about the spirit world. We know God is a God of miracles, not because we believe in the Bible, but because we have witnessed it ourselves. But if God is the same today, yesterday, and forever, why hasn’t anyone witnessed something like the parting of the Red Sea, or the multiplication of the loaves and fishes? Why don’t we see the sun stand still as in the days of Joshua, or mountains picked up and moved to the other side of the valley? There are miracles that we see are consistent with God’s eternal ways, the raising of the dead, the healing of lepers. We see these miracles today. But then there are passages in the Bible that have the air of myth, of super-hero stories, that seem somewhat inconsistent with the God of miracles we witness today. We believe in a God that theoretically could make super-hero miracles, but we also believe in a God that gives signs that follow those who believe, not signs to consume on lusts. Therefore, since Mormons already believe doctrinally in Biblical fallibility, it is no fault to wonder if some of the miracles in the Bible are mythical rather than literal. This isn’t denying miracles. Rather, it is believing in a consistent God, whose ways are eternal. Those stories in the Bible are still inspiring. We believe in a God who COULD part the Red Sea, and that story has inspired millions to put faith in Him, and work real miracles, that we see even in our day. But in my mind, it is no crime to wonder if the Biblical miracles are all literal, or if some of them indeed are mythical. 1. God is the same today as he was then. 2. We don’t see some kinds of miracles today. Therefore, some kinds of miracles probably aren’t true. I simply don’t buy the logic. If we don’t see those kinds miracles today, it is either because (1) we don’t need them, or (2) we’ve adopted a worldview that doesn’t allow us to exercise sufficient faith to see them. I personally believe the naturalistic worldview prevents us from seeing and allowing the kinds of miracles that were once more commonplace. And, consider, those miracles were even rare back then. We have a large collection of them in the scriptures, but the scriptures cover a span of thousands of years. Christ really did multiply the fishes and the bread. He really could bring people back to life. He really can calm the seas and part the waves and walk on water. Let’s not dismiss God’s power (or His willingness and ability to use that power) simply because we haven’t seen it yet. Nate, if you accept the Mormon worldview, we will soon see miracles much grander than the parting of the Red Sea and the moving of mountains. We will see complete changes in the Earth’s landscape and the returning to the Earth of the Savior Himself. That will be a great miracle. I believe these things will happen someday “soon.” Meanwhile, I have had small miracles in my own life that are personal and point to the Savior and the Restoration of the Gospel. So, I continue to believe in miracles both small and large. I am willing to accept that some miracles in the scriptures are symbolic. Did Jonah really live three days inside a fish? I don’t know, but if somebody were to prove to me that it was symbolic I would have no problem with that. Same with the flood, etc. My faith is not dependent on miracles that may or may not have happened millennia ago — it is based on real experiences in my life here and now and the patterns that develop when you read the scriptures. I’m also willing to accept some stories as symbolic. But not because they are implausible or impossible—just because I know that the scriptures do sometimes engage in mythology. For me to say that some stories are symbolic because they are impossible is, essentially, to say that there are some things God can’t do, and that is something I don’t believe. I sympathize with the deist reading of Thomas Jefferson, because it is sensible and rational. But I disagree with Thomas Jefferson only because my personal spiritual experiences lead me to believe in a God of miracles today, and thus I assume that at least some of the miracles in the Bible were literal. The second option is to interpret the offending passage in a way that neuters the threat to our worldview. As stated, your post appears to assume that interpretation is transparent and that all explanation of apparently uncomfortable passages is therefore a dishonest tactic. I disagree both a priori and as a matter of my own lived experience. Adam, I completely agree that there is no such thing as a transparent, unbiased interpretation. I do think, though, that it’s possible to interpret passages away in ways that are no longer threatening to our lifestyle or worldview. If we do this too often, we are potentially ignoring many scriptural calls to repentance.